Croce is the chair of the Department of Cancer Biology and Genetics at The Ohio State University. He’s also now under investigation at OSU after a colleague levied allegations such as plagiarism and falsified data. By our count, Croce has five retractions (1, 2, 3, 4, 5), some of which we have covered. Some of his papers have also been questioned on PubPeer, many of which he’s coauthored with Alfredo Fusco, a cancer researcher in Italy who has nine retractions and is in the midst of an investigation for scientific misconduct. Dr. Carlo Croce was nominated and selected by an expert committee of his peers, and the AACR voted to move forward on the award committee’s recommendation. 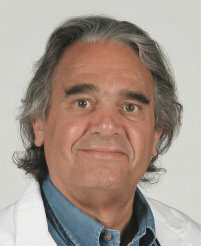 We are aware of the allegations made in The New York Times’ article on Dr. Croce. The AACR knows of no definitive findings that would warrant a change in this decision. Therefore, Dr. Croce will be presented with this award. [Croce] is being recognized for his consistent and long-standing impact on the translation of fundamental cancer mechanisms to clinical applications. His many contributions to the field of cancer research have provided an important foundation for the identification of druggable targets and have been invaluable to advancements made toward cancer diagnosis and prognosis. Likewise, his research has masterfully translated chromosomal translocation breakpoints to strategies for cancer prevention, early detection, and therapy. Is promoting your juniors throughout the biomedical world the same as leadership? The president of Ohio State University, Michael Drake, seems already to know the outcome of the investigation in CM Croce. He’s a champion in many fields. For instance he’s a master of dodgeball. 6th retraction Carlo M Croce. 2017 retraction of: J Biol Chem. 2012 May 25;287(22):18308-17. doi: 10.1074/jbc.M112.346270. Epub 2012 Apr 9. ↵1 To whom correspondence may be addressed: Dipartimento di Biologia e Patologia Cellulare e Molecolare, Università degli Studi di Napoli “Federico II”, via Pansini, 5, 80131 Naples, Italy. Tel. : 39-0817462056; E-mail: chiariot@unina.it. ↵2 To whom correspondence may be addressed: Istituto di Endocrinologia ed Oncologia Sperimentale (IEOS) del CNR, via S. Pansini, 5, 80131, Napoli, Italy. Tel. : 39-0817463054; Fax: 39-0817463749; E-mail: mfedele@unina.it. This article has been withdrawn by the authors. Figs. 2D and 6E did not accurately represent experimental conditions. Additionally, the journal raised concerns with regards to Fig. 1C. The authors were not able to provide the original data for this figure. The authors state that these inaccuracies in figure representation did not affect any of the scientific conclusions of the paper. Wouldn’t it then be in the interest of Ohio state to make sure their investment is not being wasted in producing fraudulent papers? This is a common mythology propagated by many University administrators (usually coming from nonSTEM backgrounds)- that is that scientific research results in a net loss for the school. Also a bit ironic in that overheads from grants/contracts make of a sizable portion of revenue of research universities. i’d really like to see the accounting data to support this statement. Croce is said to have won over $82M in grants. I don’t know what portion of that was at OSU or what the OSH indirect cost rate is, but I suspect would take some fanciful and highly selective accounting to reach the conclusion that OSU has lost money by having Croce doing research at their school. “selected by his peers” for unbelievable contributions.. it looks like professional societies are becoming social clubs. I was not aware that they were not already. Whether OSU benefited handsomely from Croce’s grant-winning activities, or whether they actually spent far more on his research than was gained, the effect is the same: OSU have a strong incentive to sweep everything under the carpet, while defending their decisions and denying that Mistakes were Made. Next Next post: How many scientists admit to questionable research practices?